Car Pretty LLC - Visors & Hood Protectors - In-Channel, Outside Mount, Smoked, Chrome, 1, 2 and 4 Piece Kits. 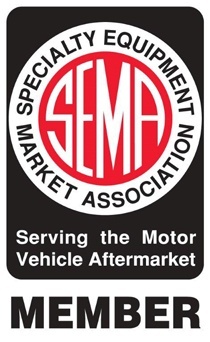 Visors & Hood Protectors - In-Channel, Outside Mount, Smoked, Chrome, 1, 2 and 4 Piece Kits. 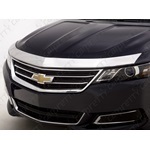 Smoked ABS rainguards ventshades for cars, smoked ABS rainguards ventshades for trucks, chrome ABS rainguards ventshades for cars, chrome ABS rainguards ventshades for trucks, 2 piece and 4 piece available. In-channel and outside mount raingaurds ventashades. Smoked bugshield hood protectors for car, smoked ABS rainguards ventshades for trucks, chrome ABS rainguards ventshades for cars, chrome ABS rainguards ventshades for trucks, 2 piece, 4 piece available. In-channel and outside mount raingaurds ventashades. 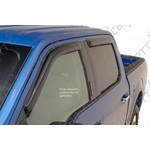 Smoked bugshield hood protectors for trucks, smoked ABS rainguards ventshades for trucks, chrome ABS rainguards ventshades for cars, chrome ABS rainguards ventshades for trucks, 2 piece, 4 piece available. In-channel and outside mount raingaurds ventashades. smoked ABS rainguards ventshades for trucks, chrome ABS rainguards ventshades for cars, chrome ABS rainguards ventshades for trucks, 2 piece, 4 piece available. In-channel and outside mount raingaurds ventashades. Smoked bugshield hood protectors for car, smoked ABS rainguards ventshades for trucks, chrome ABS rainguards ventshades for cars, chrome ABS rainguards ventshades for trucks, 2 piece, 4 piece available. In-channel and outside mount raingaurds ventashades. 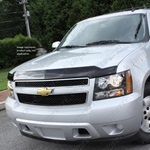 Chrome bugshield hood protector for cars and Chrome bugshield hood protector for trucks. This product is a Aeroskin smoke acrylic hood protector. 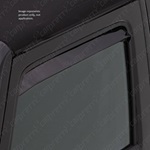 This product is a Aeroskin smoke acrylic hood protector that will only fit the F-150 SVT Raptor model only.